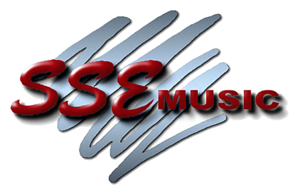 From print music to pianos, keyboards, musical instruments, audio equipment, guitars, drums, and accessories of all kinds, SSE Music has everything you're looking for. Since 1985 we have played a significant role in developing music retail and education in western Wisconsin, southeast Minnesota, and northeast Iowa. Family owned and operated, we're conveniently located off of I-90 on the north side of La Crosse, making us the perfect place to meet all the Coulee Region's musical needs. When you visit us you are guaranteed a quality product along with a complete service department to back it up. We always put the customer first, and that is what makes us "the premier music place." Our knowledgeable sales staff will help you find what you need! Chances are good that if we don't stock it, we can order it for you. In addition to carrying a selection of well-known name brand musical instruments, accessories and audio equipment, we also offer instrument rental and repair services, as well as music lessons for our customers. We provide instrument rentals at low, monthly rates for brass, woodwind, orchestra, and percussion students. Our friendly, knowledgeable staff will be happy to help your beginning music student find the right instrument! For more information, visit our Instrument Rental page or feel free to contact us. We pride ourselves on our in-store repair facilities! We feature full repair services for woodwind, brass, and orchestral instruments, guitars, other fretted instruments, and sound equipment. Contact us for more information and rates. Be sure to ask about our music lessons! We currently offer instruction for piano, voice, drums, electric/acoustic/bass guitar, violin, viola, and more. Contact us for more details, or visit our Lessons page to learn more about our teachers! the "One Stop Shop" for all your music needs!